Are the so called CSK fans the biggest glory hunters and the biggest hypocrites ?? 1. What do you think about CSK's so called fans ?? oh thats an attempt to troll is it, went over me. man you have degenerated from grossly unfunny to downright boring.. what dark fat god etc...you lost me there totally. Insults wont work debutant, i understand you want to get back at me..you need to do some hard work and make good posts. You are looking very weak in this thread, no cognitive process at all when confronted with directed critique. I have called you out in most posts, you just muster some week insults and hide behind joke/ just trolling other wise cool plausible deniability. I dont see you fit for a discussion, you bore me man. Calling a deity 'fat' or ' dark' as in tending to be 'ugly' is a form of desecration. Now that is a new low even for debutant, so he is anti social with narcissistic tendencies, apparently. you are the one that called a deity ugly dude. I feel sorry for you man. 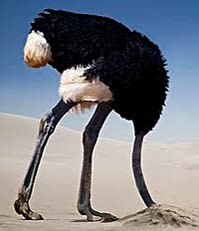 When you hide your head in the sand, you leave rear open. But is that racism ?? i have totally plouged it through the thread. self objectification. you have self worth issues as well. I cant play your shrink man. This forum is so full of racism and this thread stands as proof. How 'CKS' doing now a days? You joined in 2010 and have no idea about CKS ? This thread has so many racist posts. Won't the mods delete them. ? can you care to explain why do you call me a 'chuski' and what does it mean ? when i try to reason out with you guys, you term me as emotional.. alright. there is nothing wrong in being emotional. it is you who assumes things about me. and you are free to do so. another level ?? what is that level? I am also from south i do feel there is racism against south indians in general. But in this thread i don't really know what is going on i really think the mods should step in and delete the posts. why what did i say wrong. it would be nice if the mods delete some offense posts and ask posters to stick to the topic. None of the posts are racist in any way. It's against a team and not about the people that live in that area. Nothing racist. The number of posts reading that this thread is racist is just stupid. Fair enough but still at first glance it does look racist. Also nothing wrong if unwanted posts are deleted and posters stick to the topic just improves the quality of the forum and the debate. hey hey guys. I have other things to care about in my life, cant be here all the time. OK, dont go on to defensive if you have no prejudice. Only if you are prejudiced you will show shame in your defensive posts. My posts make sense because they are well thought out, i dont troll it appears so because i do attract a bit of trolling. When u attract confident discussions u appear like an orator, and vice versa, but viewer discretion is a given for this forum. A few prejudiced posts does not make a norm, i find ICF generally fun, even the IPL section. But at times banter does get a bit extreme, then there is a need to engage. Anyhooo..my job here is done. See u in other threads. 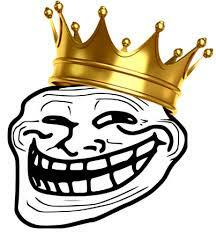 i did not troll adi, i want to assure you that. If you take a glance you would realize that i never abused, insulted , or wrote a short offensive post to extract a response. I just engaged trolling constructively. bulbul i can understand where you are coming from, for any net generator of trolling any logical rebuttal from the other side, which was sustained to such an extent as to defeat the intent of the said trolling will amount to trolling in itself, this can be called troll the troll trolling or triple troll KLPD trolling. Book worm, if you are what your moniker claims then you can post objectively, i would encourage you to do just that and be fearless. Any cop out will burst in your face like a balloon filled with gutter trash so its better to be committed to a discussion than poke and then think about half measures. Call it as it is, engage with clear concise respectful statements, that should be a good way, what do you think. This is where you start meandering, let me indulge you a bit. See a clear sign that you are well beyond your depth is when you post such self defeating posts. Read what you posted and decide if you were referring to me or you, you dont have to respond here if you dont like, but you would understand that you are way beyond your depth here. You are saying ' you did not defeat trolling unless you are xyz bad things about you' so thats two negatives. This is definition of KLPD right here..go home bulbul. hey hey guys. I have other things to care about in my life, cant be here all the time. OK, dont go on to defensive if you have no prejudice.